Unfortunately, your registration has been declined by the auctioneer. You can contact the auctioneer on 44(0)1902 672323 for more information. You are the current highest bidder! To be sure to win, come back on 29 Mar 2018 17:00 BST Date Format as the lot closes or increase your max bid. 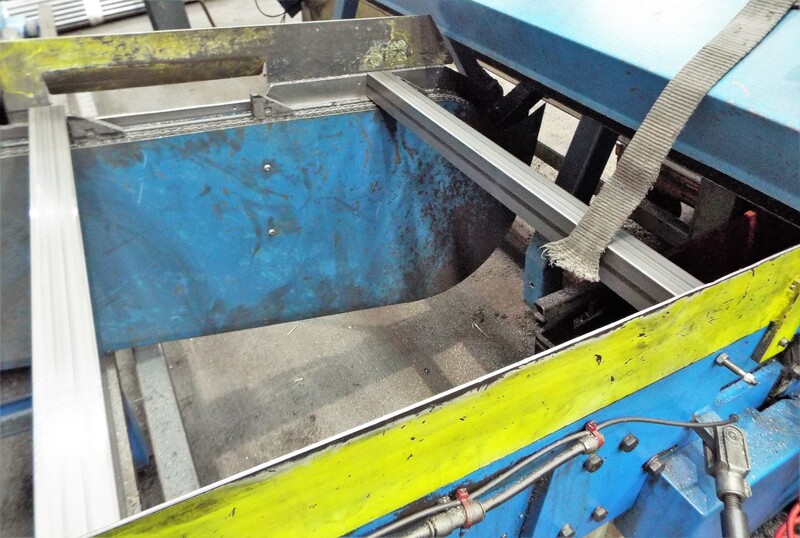 This is a used outfeed conveyor by Bewo. 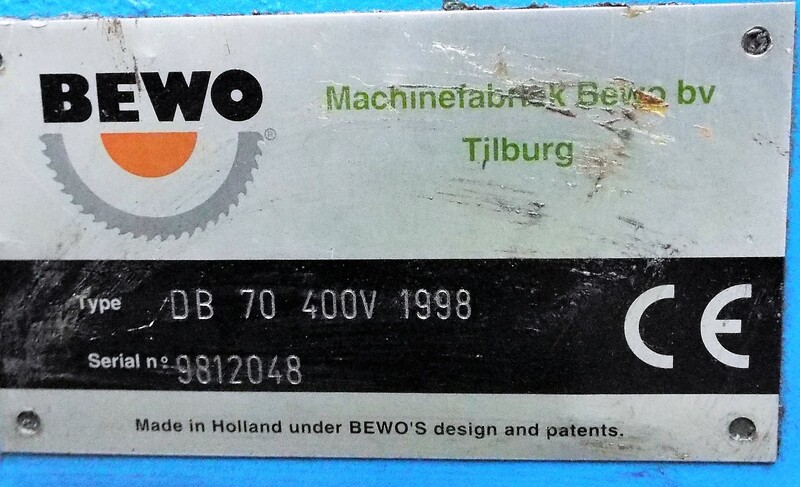 One owner from new, maintained initially under a BEWO service contract and more lately by Bluebay Technical. Most recent service being 27.03.17. For Asset Disposal Services Limited delivery information please telephone 44(0)1902 672323. 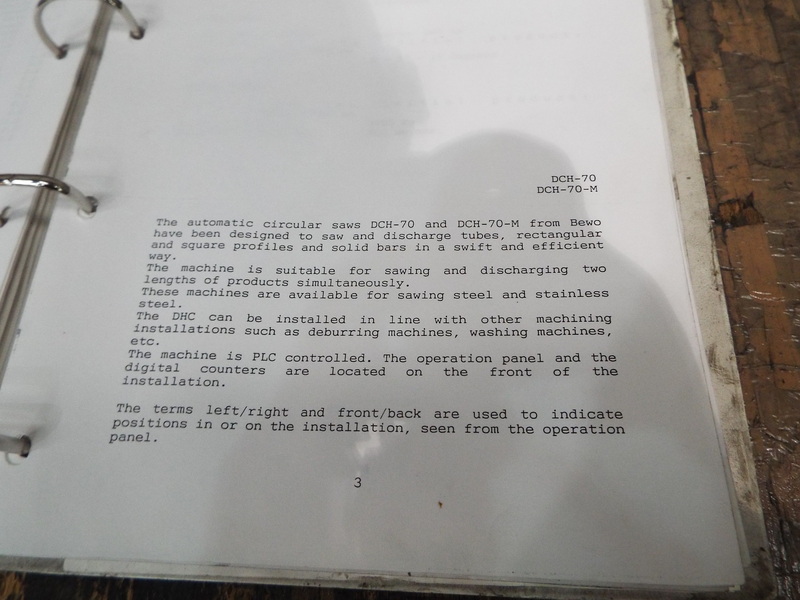 Amada Octo 334 Punch Press, ABB 2400L MIG Welding Robots,Wheelabrator MLK1500-2 Automatic Table Blasting Machine,Belt Grinding/Linishing/Graining Machine, Radial Arm Machine Tools from Messrs Asquith, Ajax & Csepel,Nord Drivesystems Transmission & Drive Units,a Stone Wallwork Hot Box Core Blower & other top end OEM plant and equipment which will be added daily until 48Hrs before the auction closes,so please remember to keep visiting the auction. Please read the individual sales particulars for the location of the assets. 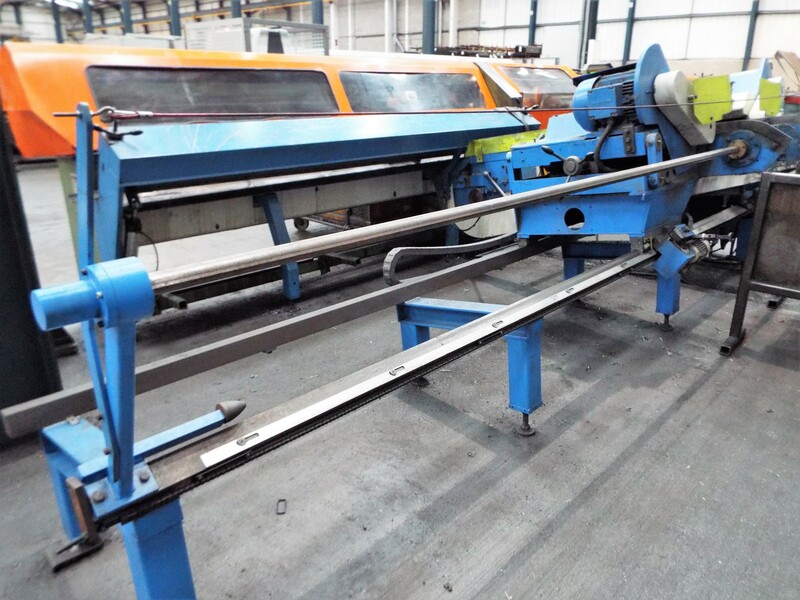 There will be one viewing day, on Wednesday 28th March 2018 between the hours of 09.00 & 16.00 Hrs .Viewing is strictly by appointment only via the sole selling agent Asset Disposal Services Ltd. Please contact Paul Brindley by email to paul@assetdisposalservices.co.uk to make an appointment. Please note that there will be lift out charges applicable to some lots, so please read the sales particulars carefully. Please remember that you are bidding to buy and will be committed to complete on any bid you make, even if your best bid does not make reserve. 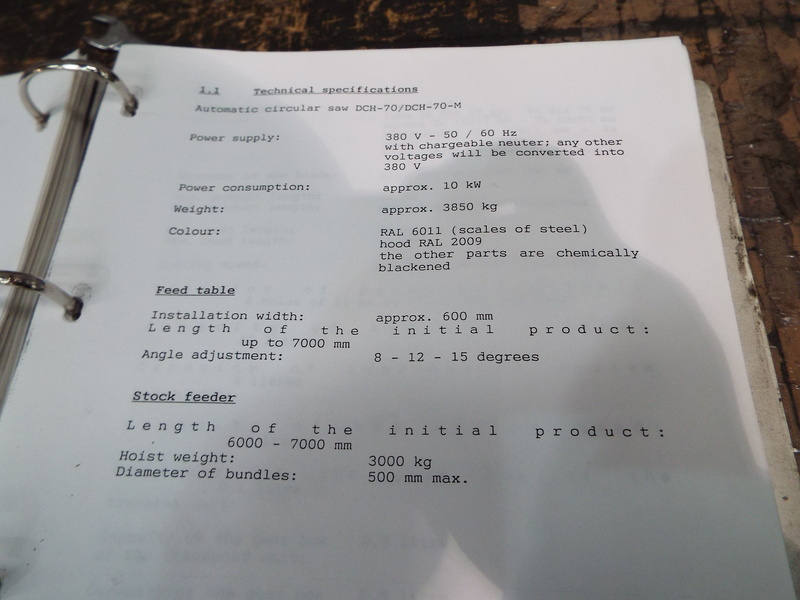 Terms and Conditions of Asset Disposal Services Limited (‘ADS’ or ‘the Auctioneer’) with Buyers for the online auction of various items of plant and equipment, as identified in the lots relevant to this timed auction, owned by a UK based multinational manufacturing group. 1. These ‘Terms and Conditions’ apply upon this sale and should also be read in conjunction with the general conditions of sale of the online auction platform, Bidspotter, located at http://www.bidspotter.co.uk/en-gb. To register for this auction visit that website and register on the appropriate page for this sale. 2. ADS offers the lot(s) for sale as agent for and on behalf of the Seller and not on its own behalf. ADS or the Seller may decline to accept bids from, or sell to, any Bidder or Buyer, their representatives or agents or allow attendance at any viewing day, at its absolute discretion. ADS and the Seller shall be entitled to require proof of identity and/or of authority from any Bidder, Buyer, agent or representative of the Bidder or Buyer, or proposed attendee at the viewing and/or to seek evidence of any agency relationship on behalf of a Buyer. Any decision by the Seller or ADS not to accept bids from a Bidder, attend a viewing day, or complete a sale to a Buyer cannot be challenged by any party on any grounds. No explanation will be given for any decision not to accept bids, not to sell or not to allow attendance at the viewing day. 3. The sale of the lot(s) shall be concluded and binding on the Buyer at the moment when the sale closes and ADS or the Seller agree to accept the bid. The highest bid will ordinarily be accepted, subject to Seller agreeing to sell to that particular Bidder. The Seller is at liberty, at its sole discretion, to sell to an under bidder. No explanation will be given for any sale to an under bidder. 4. ADS shall have the sole and exclusive right to determine all matters whatsoever concerning the auction, including resolving disputes between bidders, rejecting any bid, the withdrawal, division or consolidation of any lots. 5. Viewing of the lots is strictly by prior arrangement with ADS. The lots can be viewed on Wednesday 28th March 2018 at the Seller’s factories between the hours of 09.00 and 16.00 Hrs. The locations of the factories where the assets are available from are given on the individual lot sales particulars.The site address will be confirmed by email from ADS to registered bidders only who have expressed a wish to view and the client has agreed they can view. You will be required to give the names and positions of your proposed attendees one business day before the viewing day and they will be required to provide evidence of identity acceptable to ADS and the Seller on the viewing day. The evidence could be a passport or photo driving licence. In the event that inadequate or no evidence is provided, ADS and the Seller have the right, at their absolute discretion, to refuse any person access on the viewing day. The decision of ADS and the Seller as to whether to allow a person access on the viewing day may not be challenged by any party. Attendees at the viewing days will be required to wear safety shoes & ear defenders and you will be required to adhere to all health and safety requirements of the Seller, and visit only those specific parts of the factory where the items are being sold or stored. Any breaches of the terms of access of ADS or the Seller will result in the viewer being removed from the premises. 6. ADS, its directors, employees and agents hereby specifically exclude liability for any accident or injury, howsoever arising, to any person(s) who may attend the premises for the purpose of the auction, inspection, purchase, collection or any other business. Under no circumstances will anyone under 18 be allowed on the premises. 7. The sale closes at 15.00Hrs on Thursday 29th March 2018 at 15.00Hrs. 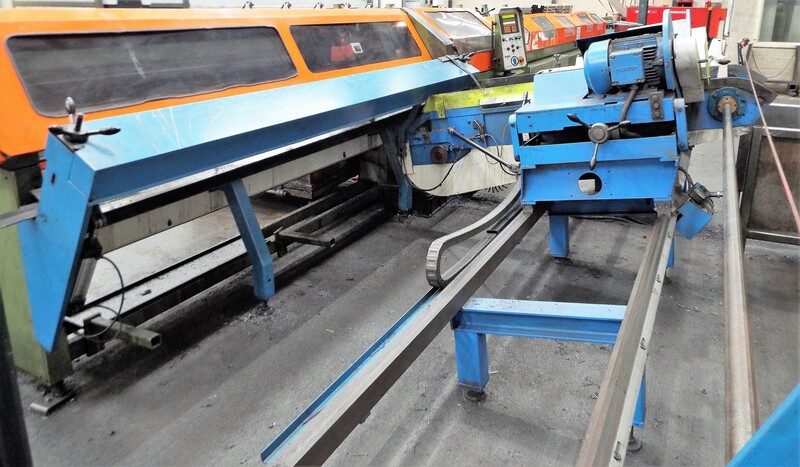 However if a bid is received within the last 10 minutes of the scheduled closing time, the bidding period on that lot will be automatically extended by a further 10 minutes. 8. If you are successful in your bid, ADS will send you an invoice of sale by email following the closure of the auction. 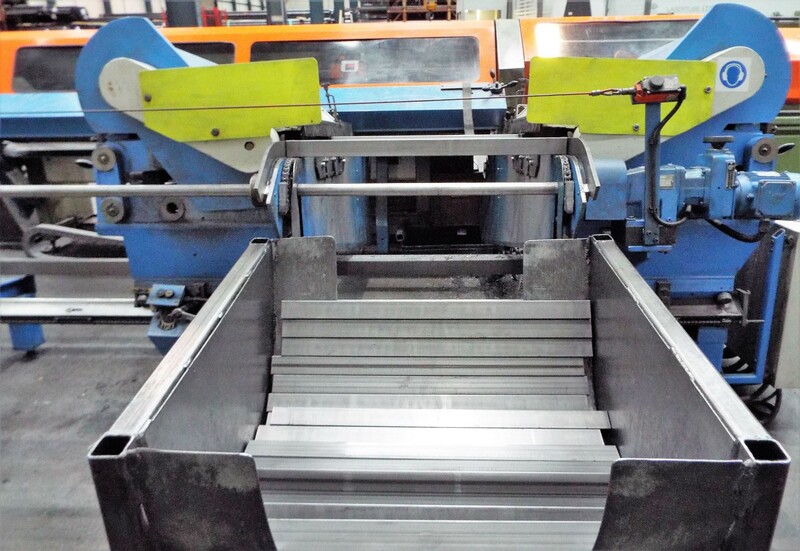 The invoice will include a buyer’s premium at the rate of 15% of the hammer price and an uplift charge where/if applicable. You can only collect the goods after you have paid this invoice in full and the funds have cleared the banking system. 9. If you are a UK based buyer you will be charged Value Added Tax (‘Vat’) at the rate of 20 per cent on the Hammer Price, the Buyer's Premium and any uplift charge. If you are buying the goods for export, read 10 below. 10.1. If you are a buyer from within the European Union, you will not be charged Vat provided that you produce full details of your corporate name, trading name, address and Vat registration number prior to the raising of the invoice by ADS. 10.2. If you are a buyer from outside of the European Union, you will be charged Vat on the Hammer Price. If within 3 months from the date of sale, you provide ADS with documentary evidence of the permanent export of the goods from the UK, that Vat will be refunded, within 14 days of its recovery from HM Revenue & Customs. The documentary evidence we may accept includes a Certified Bill of Lading, Commercial Invoice and Packing List. A handling charge of 10% will be levied on any refund. 11. Payment is due immediately upon you receiving the invoice for sale from ADS unless you have agreed alternative arrangements with ADS beforehand. Time of payment shall be of the essence. Buyers are required to pay by BACS, Bank or Telegraphic Transfer to the ADS Client Account, sort code 30-99-36, account number 26052260, at Lloyds Bank plc, 293 High Street, West Bromwich, West Midlands, B70 8NA. United Kingdom. IBAN No: GB87 LOYD 3099 3626 0522 60. BIC: LOYDGB21416. 12. The Buyer will not be allowed to remove any lot until the purchase price of that and all other lots purchased at the auction have been paid for in full. In default of payment within 5 working days of the sale, the Auctioneers may hold a lien upon all lots purchased by the Buyer during the auction and, in addition, shall be entitled to immediately rescind the sale in respect of any lot or lots for which full payment is not made in due time, and sell them elsewhere and seize and retain any deposit or part payment the Buyer might have paid for them without the Buyer having any right of compensation. ADS will also be entitled to charge interest upon any unpaid balance, from the date of the invoice, at the rate of 7 per cent above the Bank of England Base Rate applying from time to time and to charge for storage arising after the time for removal at the rates set out in the Important Informatio per lot per day until they elect to rescind the sale, if at all, which election ADS may make at any time after such non-payment. 13. Title to lots shall remain with the Seller until the full sale price, including Buyer's Premium and Vat and any storage and interest costs have been paid to ADS. The risk of damage to or loss of the lot shall be transferred to the Buyer immediately ADS supply you with an invoice for sale. It is the Buyer’s responsibility to put in place its own insurances in this regard. 14. ADS warrants that it will only sell lots which it reasonably believes are owned by the Seller or to which the Seller can pass good title to the Buyer. If it should be that the Seller's title to any lot is defective or that they cannot pass good title to the Buyer, ADS shall be obliged to use its reasonable endeavours to transfer title to the Buyer and to assist the Buyer in exercising any remedies they may have against the Seller. ADS will not however be obliged to initiate or take any part in any litigation. 15. Lots bought are at your risk immediately upon your receipt of the sale invoice from ADS. You should remove the goods as soon as possible after you have paid for them in accordance with teh auction terms, by prior arrangement with the Seller. Please note that ADS reserve the right to charge storage on any items not collected after this time. The Buyer shall be responsible for the safe and lawful removal and transport of lots bought. The Buyer agrees to insure against and to indemnify ADS and the Seller against any and all claims arising in respect of injury or damage to any person or property, whether real or personal, on the removal howsoever or by whom caused in connection with the removal of lots the Seller has purchased. The Seller may ask the Buyer to provide a Risk Assessment and Method Statement (‘the Statement’) prior to removing any lot. The Statement must be approved by the Seller prior to the Buyer commencing the removal. Neither ADS nor the Seller will be liable for any loss or damage however caused if they, in their sole discretion, choose to assist in the removal or transport of lots. ADS and the Seller may provide details of independent contractors to the Buyer who may assist upon the decommissionng and removal. The provision of such names are not recommendations and it entirely the Buyer’s decision as who they should use to assist them on the removal. 16. If, before title to any lot has passed to the Buyer, the Buyer, being an individual, dies, enters into a composition or arrangement for the benefit of his creditors, including an Individual Voluntary Arrangement, or has a Bankruptcy Order made against them or, being a body corporate, has an Administrator, Receiver or Receiver and Manager appointed or goes into creditors voluntary or compulsory liquidation or enters into a composition or arrangement for the benefit of its creditors, including a Company Voluntary Arrangement, then the contract for the sale of such lots shall be automatically and without notice rescinded unless ADS elects otherwise within 2 working days of notice of such an event. Upon rescission, any deposit paid by the Buyer shall be forfeit and the Auctioneer shall be entitled to exercise the rights set out in paragraph 11. 17. The Buyer recognises that at the time of sale, the plant, machinery and equipment contained in the lot(s) may not necessarily comply with all or any relevant legislation relating to Health & Safety, Environmental Protection, or other regulations governing its use in a working environment. It is the Buyer’s sole responsibility to ensure that it does not contravene any such regulations. The plant could contain chemicals which, if not handled correctly during their removal and transport from the holding facility, could be in breach of UK legislation. You must comply with all current legislation and regulations in relation to the removal and transport of the lots and any waste and you may be required to satisfy ADS that your removal and transport procedures are compliant. Specifically, where waste is to be removed, all work must be undertaken by an approved and licensed contractor. 18. All conditions and warranties as to the condition, quality, description or fitness for any purpose whatsoever of any lot sold by ADS or the Seller are hereby expressly excluded. All lots are sold “as is and where is” and neither ADS nor the Seller will be bound by or liable for any misrepresentation. Neither ADS nor the Seller shall be liable for any loss or damage whether caused by negligence or otherwise of either or both of their servants or agents and without prejudice to the generality of the foregoing neither the Auctioneer nor the Seller shall be liable to refund any money paid for any reason or for any loss of profit, business or production or similar or other loss whether direct or indirect or consequential, however caused. In the circumstances the Buyer should rely solely and exclusively upon its own inspection of any lot and should not treat statements made in sale particulars or, before, during or after the auction by the Seller or ADS either as representations or to be relied upon. No lot is warranted or held out to be merchantable or safe for use or complying with statutory requirements for use, display or movement.Counter Clock readings on capital plant and equipment or Odometer readings on vehicles cannot be verified as accurate and are sold strictly on this condition. ADS, their directors, servants and agents have no authority to make representations. 19. ADS will not recognise any potential transfer by the Buyer of lots to third parties. ADS will accept payment only from, and allow removal of items only by, the Buyer themselves or their appointed agent(s). 20. If you intend to buy the goods through a finance company, please notify us well in advance of the sale in order that your finance company can make payment in accordance with our Terms and Conditions and those of the auction platform. 21. There may be a charge per lift (excluding Vat) for loading goods on to the Buyer’s transport, which will be invoiced by ADS as per paragraph 8. Should the Buyer, its servants or agents cause damage in any way to the site of storage or damage to or loss of any lot, ADS shall be entitled to exercise a lien in respect of any and all lots purchased by the Buyer until such damage or loss has been paid for in full, whether or not the lots or any of them have been paid for in full, such loss and damage to be assessed by the Auctioneer whose decision shall be final and unchallengeable. ADS's assessed sum shall be paid by the Buyer upon receipt of the invoice for such damage and payment shall be made forthwith, time being of the essence. 22. These Terms and Conditions can only be varied where such variations are confirmed in writing by a director of ADS. By making a bid for any lot, the bidder warrants that he has read, makes his bid upon and agrees to be bound by these Terms and Conditions and those of the auction platform, and warrants that they have the proper authority and capacity to make the bid, and bind both themselves and any employer or principal to honour any contract resulting therefrom. Any bid shall be deemed to be an offer by the Buyer (a term used herein as including the bidder and any principal or employer of the bidder) to purchase any lot offered for sale upon these Terms and Conditions as amended by the special conditions of the auction platform. 23. These Terms and Conditions shall be construed in accordance with and governed by English Law. The Uniform Law on the International Sale of Goods shall not apply to this contract and the application of the United Nations Convention on Contracts for the International Sale of Goods of 11th April 1980 shall be excluded. 24. If you need any further information or clarification of any matters relating to these Terms and Conditions, you should contact Paul Brindley at Asset Disposal Services Limited, Alpha House, Tipton Street, Sedgley, West Midlands, United Kingdom: Telephone 01902 672323: Email paul@assetdisposalservices.co.uk. The conditions of sale and all other contents of the listing and particulars are subject to amendment by ADS by the posting of notices on the website prior to or during the sale or by way of an agreement in writing signed by the parties concerned. In particular they are subject to amendment by the Special Conditions of Sale of the Auction Platform on the website at http://www.bidspotter.co.uk/en-gb.